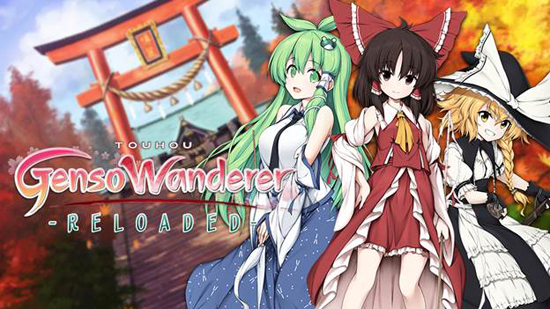 The definitive experience of roguelike adventure RPGs culminates in Touhou Genso Wanderer Reloaded! Join the colorful cast of Touhou characters on an incredible journey through the Tower of Desire. With new dungeons to explore, new items to collect, and new faces to meet, this adventure is not one you want to miss! Best of all, newcomers and veterans of the Touhou series will love journeying through the land of Gensokyo with shrine maiden Reimu, as well as new faces such as spunky magician Marisa, and wind priestess Sanae! And now, with a ton of new content, new and veteran players can experience the world of Touhou wherever they go! Based on the "Touhou Project" world, Touhou Genso Wanderer is a roguelike RPG where the layout of the dungeons and the treasure you'll find in them will change every time you play. Packed with a ton of content to discover and explore, it's an addicting experience that will make you want to rack up hours and hours of play time. Easy for beginners to understand, yet filled with advanced options for pros, anyone can enjoy this game to their heart's content! Now, it's time for a new adventure! Touhou Genso Wanderer Reloaded will arrive on PlayStation 4 and Nintendo Switch, July 17, 2018 for North America and July 20, 2018 (digital only) for Europe!